This is my bone-throwing starter set. 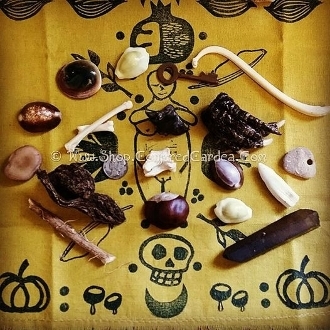 I have created this set at the requests of my clients and to support the tradition and esoteric art of bone-throwing, bone casting and bone reading. This is a starter kit meant for you to experiement with and record your findings. Practice is necessary. This is only a guide. You will want to add your own items as your pactice and skill level progresses.